Green marketing is about positive impact of business activities on society and environment. Prosperous society and healthy environment both are important for an individual that is why going green matters. Organizations neglecting their social responsibility and environmental protection have to bear consequences of criticism and penalties. Depleting natural resources, increased pollution and increased social needs have made companies to go green and save environment and society. 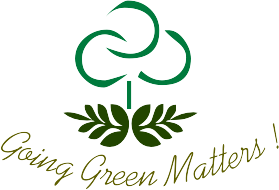 The major two aspects of greening are discussed below. It emphasizes the responsibility of organization towards the society. We all are part of our society and we see a lot of social problems around us which can range from illiteracy to poverty and violations of right to health disabilities. When organizations are involved in solving any of such problems, then they are contributing to the betterment of the society. It not only makes the world better around them but also helps creating positive image in the eyes of consumers. Consumers respond positively to organizations taking such actions and it can be a source of competitive advantage. So i would say that its a win-win situation for both organization and society and it also suggests that Going Green Matters !! Here environment includes all those factors that exist naturally. Those are the natural resources that we use in making many of our daily life activities happen. For instance, we use air to breath, we use water for drinking and cooking, we use oil, gas and coal in cooking, production and various activities. These are the natural resources which are gifted to us by God. But these resources are depleting at fast pace due to various human activities. Like extensive use of oil, gas and coal in manufacturing and households is decreasing the levels of reserves and carbon. Moreover, the waste released as a result of manufacturing and transport vehicle is polluting fresh air and water, which is poses a potential threat from minor to harmful diseases. So after knowing such hazardous effects, we must recognize that Going Green Matters. Organizations responding to environmental concerns play their part in going green and saving the earth. They may offer recyclable products to reduce waste, sustainable products to substitute oil, coal and natural gas and proper mechanisms to deal with waste. So organizations in current era need to respond to issues mentioned above in order to protect the earth and have healthy and prosperous lives. They being resourceful and having impact can do a lot for the world they live in. Because Going Green Matters! !